On this day in 1946, teenage lightweight prospect Wesley Mouzon beat Mexican Nick Moran at the Arena Stadium. On paper it looked like he had an easy time of it. The decision was unanimous after ten rounds, and the judges' scores were one-sided, 9 rounds to 1, 8 rounds to 2, and a 10-round shutout. But the 5,149 paying fans watching that night at the summer outdoor version of the Philadelphia Arena saw a different fight. It's true that Mouzon controlled almost the entire bout, flooring his foe twice and piling up more than enough points to sway even the most biased observer. Mouzon looked like a future champ for sure, except for one thing. On more than one occasion, Moran was able to connect with Wesley's chin and managed to seriously stagger the North Philly standout. It revealed a nick in Mouzon's armor that seemed to represent his only flaw in the ring. Matt Ring, the great boxing writer for the Philadelphia Bulletin, wrote in 1946, "It would be too perfect to be credible if Wesley Mouzon could take a punch as well as he can pitch one, and nobody in the lightweight class would stand the ghost of a chance with him." Round eight was the best of the fight. After chasing Mouzon all evening, Moran connected with a hard right hand. Mouzon was visibly hurt. But Wesley's reaction was to fight back. With his back against one neutral corner, his blazing flurry of punches drove Moran clear across the ring and into the other neutral corner. Mouzon continued to blast away until he ripped a right uppercut that dropped Moran for a count of five. The game visitor got up and fought back. He nailed Mouzon again, hurting him once more. As Mouzon sagged, Moran tried to follow-up but was just too tired to make anything more happen. Mouzon got back to work and Moran's opportunity seemed to pass. But they continued to exchange until the bell ended the round. According to Matt Ring, it was quite a memorable three minutes, saying that it was "the most dramatic single round that ever thrilled this reporter in a couple of decades." After two more rounds, Mouzon had the decision. The win propelled him into the biggest bout of his legendary career - a non-title 10-rounder against champ Bob Montgomery one month later. 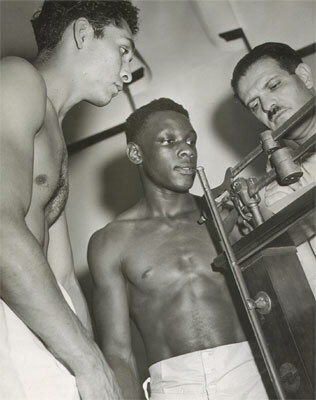 Wesley Mouzon, a teenage phenomenon as a lightweight boxer during the 1940s and later a well respected trainer of boxers, died on this day in 2003. He was about one month shy of his 76th birthday. Mouzon was a sensation during his brief career as a prize fighter. 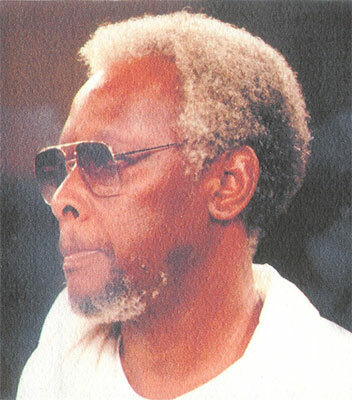 Between 1944 and 1946, Mouzon posted a career record of 23-3-1 with 9 KOs. Everyone took notice of his ring talents, and he was considered a great prospect and a champion in the making, even early on. Included in his nine knockouts was a stunning 2nd round victory over reigning 135-pound champion Bob Montgomery on August 19, 1946. The youngster shocked Montgomery and the boxing world with his win. Unfortunately for Mouzon, the fight was not for the title. Three months later the pair clashed again, this time with the lightweight crown on the line. Montgomery won the fight with a KO in round eight. It turned out to be Mouzon's last fight. Suffering from a detached retina, he was forced to retire from the ring. What a third match with Montgomery it would have been. After the heart-breaking end of his boxing career, Mouzon turned to the craft of training boxers. He would most famously work with Dwight Muhammad Qawi, a two-time world champion. Of all his fine accomplishments in his storied two-part career, Mouzon's true legacy is that in the always tough and often petty world of the fight game, never has a bad word been said about him. More than any other Philly legend, Wesley Mouzon is revered by all those who knew him and had the good fortune of working with him. By all accounts, he was a fine man and a class act.